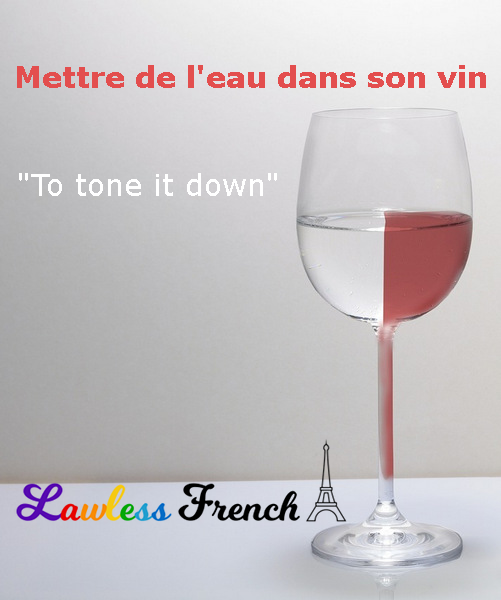 Usage notes: The French expression mettre de l’eau dans son vin can be used literally and figuratively. The literal meaning dates back to 1576 (according to Le Petit Robert), and the tradition it refers to is even older. In Ancient Greece and Rome, adding water to wine was all but required; not doing so was considered low class. Today, parents may add water to wine so that their children can have a taste, and some vintners do it in order to enhance the flavor – learn more. The two figurative meanings are somewhat related: mettre de l’eau dans son vin can mean "to tone it down" (to be less antagonistic, speak with less animosity) as well as "to be more moderate" (to compromise, make concessions, be reasonable). Évidemment, crier ne marche pas. Il doit mettre de l’eau dans son vin et réessayer. Obviously, yelling isn’t working. He needs to tone it down and try again. Quand même tu exagères ! 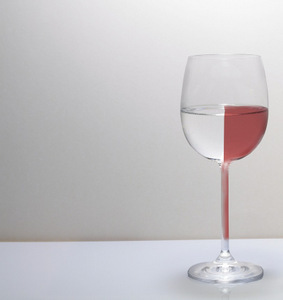 Mets de l’eau dans ton vin, s’il te plaît. Really, you’re going too far! Be reasonable, please.